A class photo. 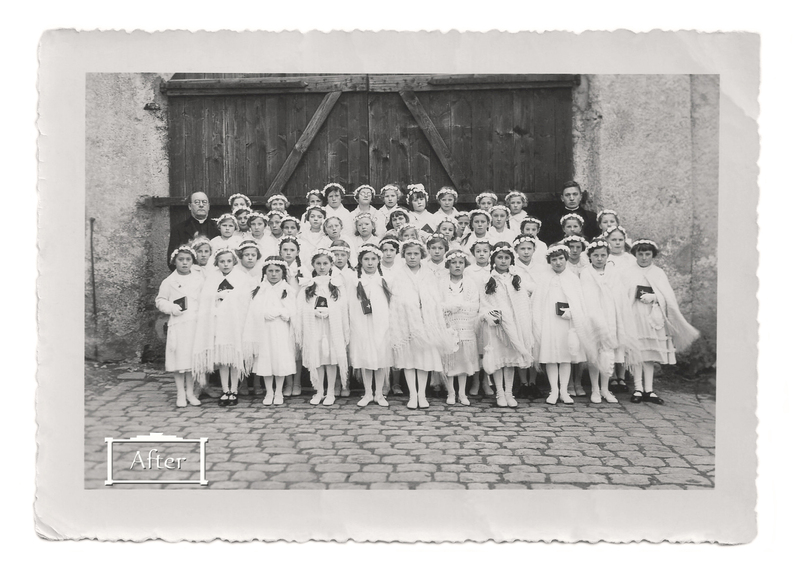 All girls around the age of 8-10 years old, dressed for their Holy Communion. Very serious faces, they probably would have gotten into trouble for smiling, let alone laughing out loud, on what would have been an important religious ceremony in their family and community. And you just didn’t smile in photos at that time altogether anyway. Some minor discolourations from moisture which gave a yellow and blueish tint to some areas. Only minor fine cracking which was only visible once zooming in. I cleaned up the odd specks and fixed the discolourations. I chose to leave some cracks in the outside white frame of the photo. 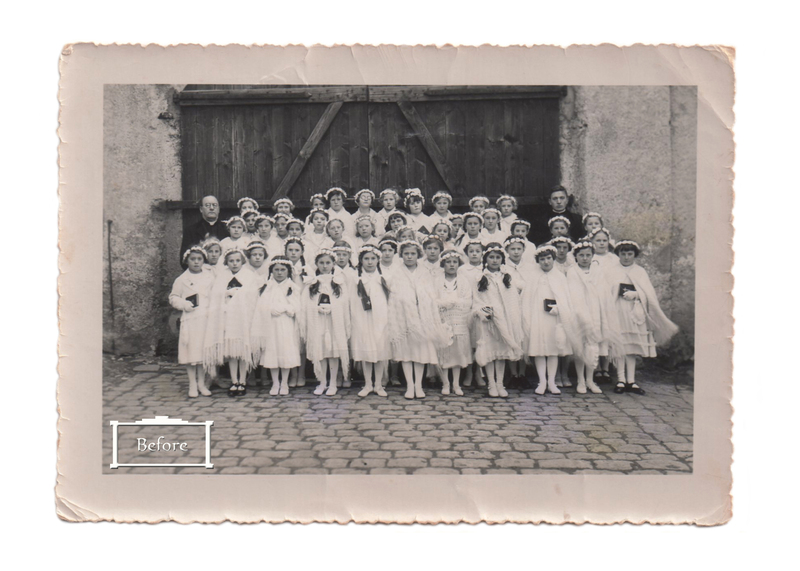 The aim of digital restoration is, as always, to better the status quo of an original image and create a copy that can be handled, looked at and touched, without changing the fact that it’s original exists in time and suffered from its passing. Well done Andrea. Do you have any idea which country the girls are in? And the year? 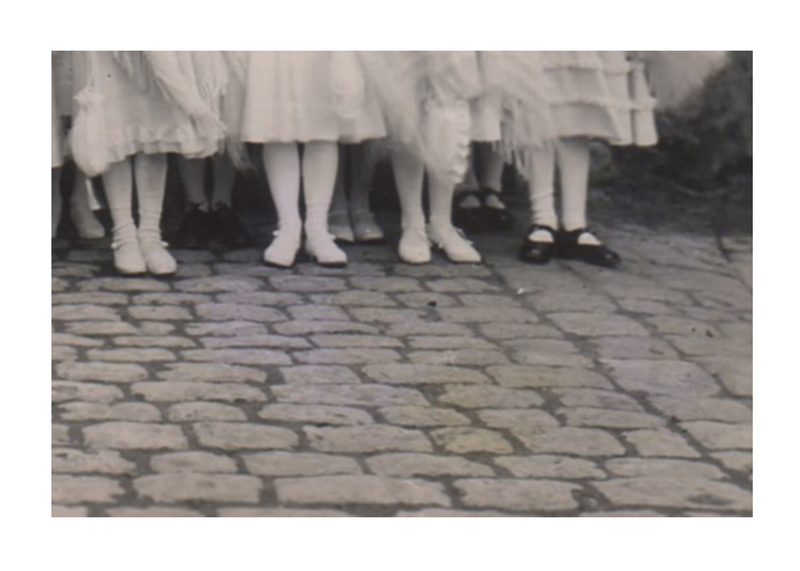 The cobblestones and shawls on some of the girls don’t look typically Australian.